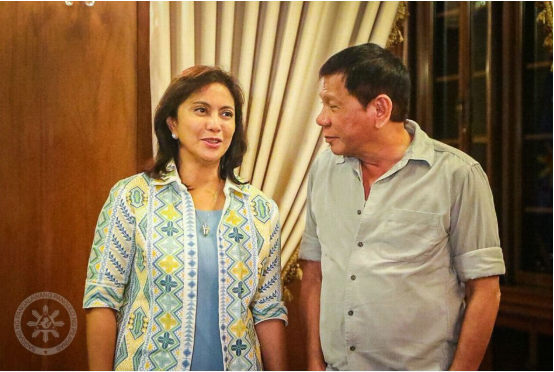 On Tuesday, President Rodrigo Duterte said that he will not step down because it will make Vice President Leni Robredo the next president of the country. The president said it during a media interview after gracing the National MSME Summit 2018 at the ASEAN Convention Center in Clark Freeport Zone, Pampanga. “Look, I will not resign because it will make her president,” he said. Duterte added that he would rather hold a general election to determine the transition of leader, who will lead the proposed federal government shift. He added that he wants to people to choose whoever they want to head the country. The president said that the people might want to elect an experienced individual who would have competence or enterprise to form the federal type of government. Furthermore, he stressed out that his suggestion to the Consultative Committee (ConCom) and to Congress as well is to revise the transitory provisions of the ConCom-proposed federal Constitution to prove his critics wrong that he wanted to stay in his position after his term. The president believes that those criticizing him and accusing him of becoming a dictator are the ones who are really hungry for power. Gutierrez also cited that traffic is worsening everyday. "Incompetent? Nagsalita ang magaling (Look who's talking)" Robredo’s lawyer said in a statement. Senator Francis “Kiko” Pangilinan defended Robredo over the president’s ‘incompetent’ remarks last Tuesday. “The President’s remarks are unfortunate, given that they are untrue, and more so because they digress from the core issues that hound Filipinos every day,” Pangilinan said in a statement on Wednesday. Pangilinan, being the president of the Liberal Party (LP), pointed to the price increase of goods and other services. “Vice President Leni has shown her competence through compassionate, empowering, and responsible leadership,” Pangilinan said. Another LP member, Senator Bam Aquino, said that the communities helped by Robredo proves her ability to lead. “Sa akin po ang tunay na pamantayan ng kakayanan ng isang lider ay paghanap ng solusyon sa mga problema ng taumbayan,” Aquino said.